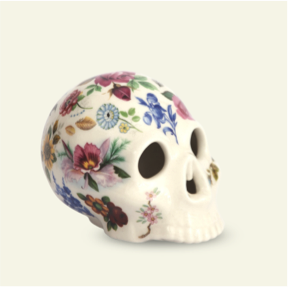 Día de Muertos, or Day of the Dead, is the Mexican festival that falls on the 31st October and is celebrated over two days. Family and friends gather together to remember and honour those who have deceased - the first day is spent remembering babies and children and the second day is dedicated to adults. 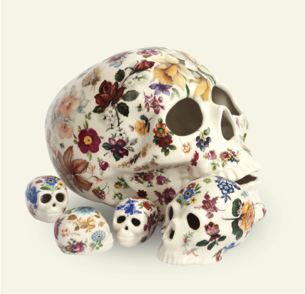 Rather than dressing up as a well groomed cat or promiscuous devil, Mexicans spend the holiday celebrating the life of the dead by decorating their homes with shrines, sugar skulls and clay skeletons. 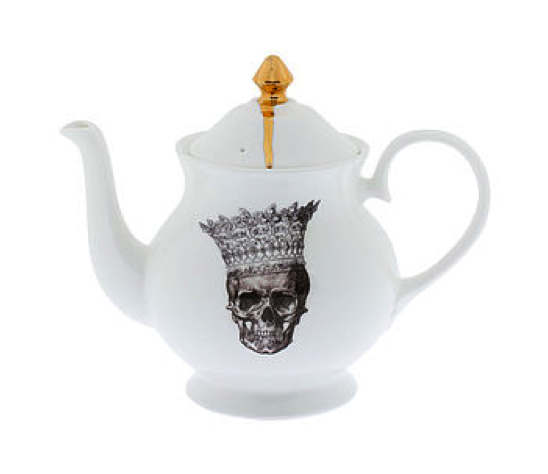 Skulls and skeletons, for most people, have negative connotations and, although common on the catwalk and now the high street, the majority of us would not dare to place them in our homes. 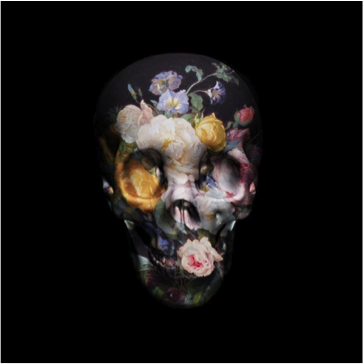 However, the spirit of Día de Muertos is not one of sadness as this is considered as insulting to the dead. 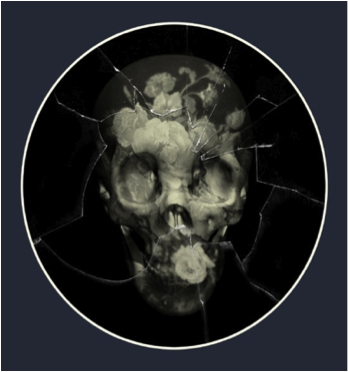 Instead it is a joyous, happy time dedicated to contemplating the beauty of life rather than tragedy of death. 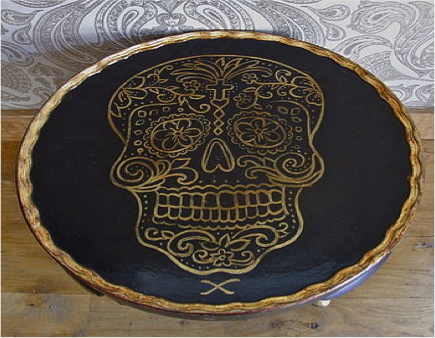 By using this approach you can re-create the uplifting spirit of Día de Muertos in your home with a colourful gothic edge. 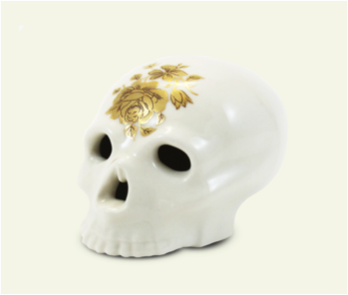 These quirky porcelain floral skulls by Iggy and Lou Lou are the perfect oxymoron. 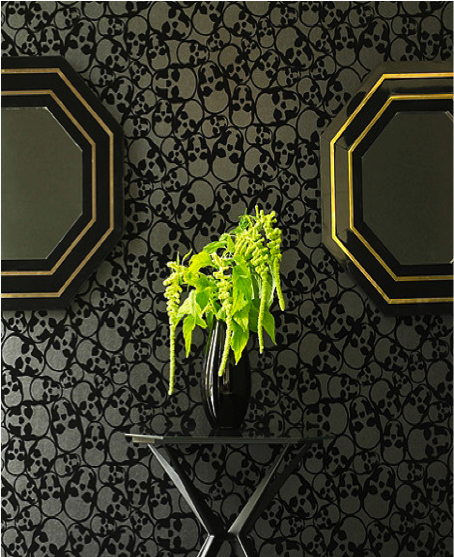 Graham Brown’s skull wallpaper by Barbara Hulanicki is ideal for a Día de Muertos inspired feature wall. 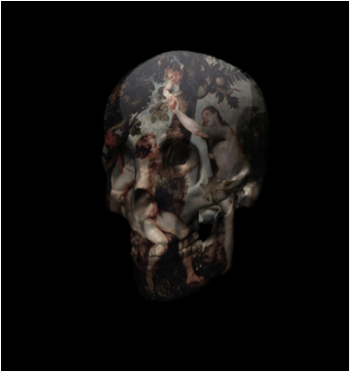 This range skull wall art by Magnus Gjoen, a designer for Vivienne Westwood, is available at artrepublic and adds edge to any room. 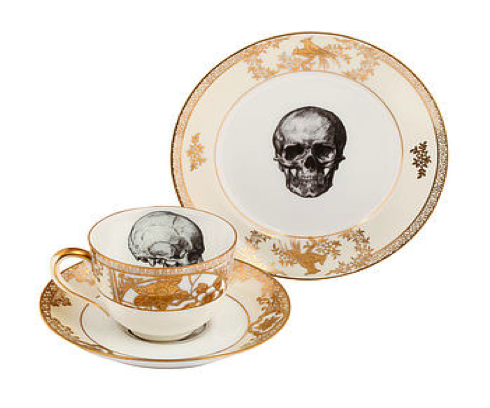 Celebrate Día de Muertos in the most British way possible with this elegant tea set by Melody Rose. 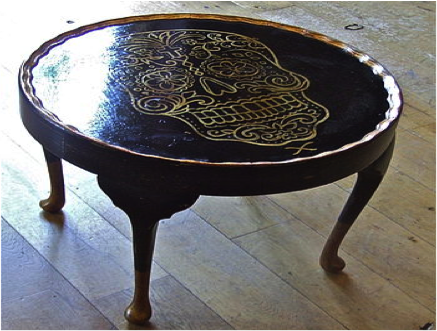 Original 1920s occasional table is the ultimate upcycle piece by Figa & Co.
*All brands/products mentioned either ship internationally or are available through global distributors.